Halimey was approved premium in Neumünster as the best Anglo-Trakehner colt. 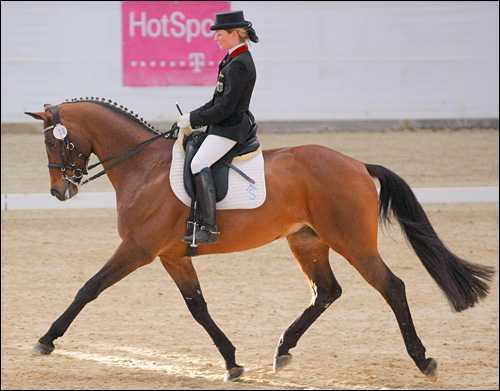 At 5yo, he qualified for the Bundeschampionat for German Event Horse, made the finals & placed 10th overall. In 2009, he was Champion of his 70 day test in Marbach with top scores for both dressage and jumping (including cross country). 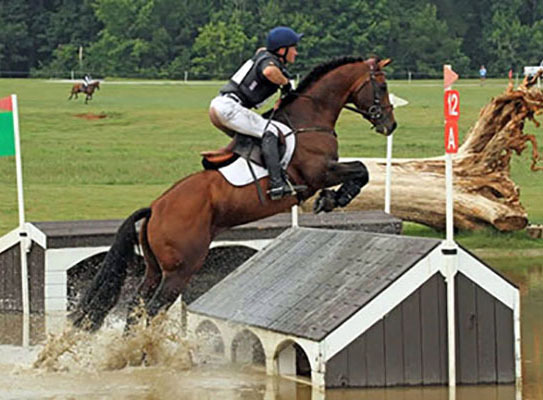 Halimey arrived in the US in the late Fall of 2012 and was very successful in Eventing, competing through Advanced. 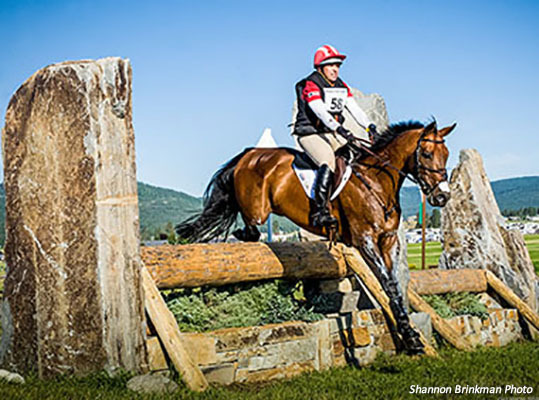 He was named USEA #1 Eventing stallion of 2015 & 2016, won the ATA’s Cäsar Memorial Cup, and the Windfall trophy - just to name a few of his accomplishments. A perfect all-around athlete, he is currently showing in Dressage with Silva Martin. 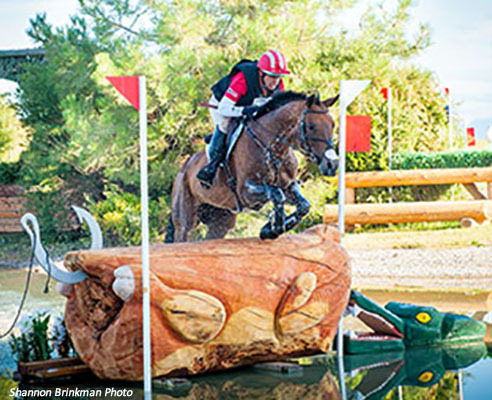 Halimey’s temperament is truly phenomenal in terms of gentleness, rideability and willingness to perform. With his bloodlines and athleticism, Halimey is the perfect sire for a top jumper or event horse prospect. He is a great choice for sporthorse breeders looking to add athleticism, movement (balance in particular) while still having enough blood to run distances. He produces spectacular offspring with ¾ of his german offspring inspected premium. Halimey is approved with the ATA, Trakehner Verband, GOV, and Bavarian Warmblood.